The nutrients for a healthy hoof and hair coat are provided at twice the concentration compared to original Farrier's Formula® with the taste that horses love! 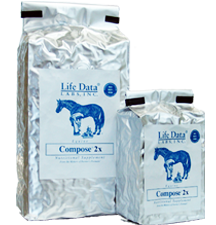 Compose® 2x is a pelleted concentrated calming supplement for horses prone to anxiety or excitability in stressful situations. Compose® 2x contains nutrient “nerve regulators” including tryptophan, thiamine, and magnesium that help calm the horse while keeping him alert and responsive. 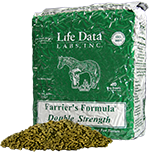 It's a low starch concentrated nutrient source designed to balance equine hay and pasture diets. It's the preferred source of required basic daily nutrients (vitamins, minerals, fatty acids, essential amino acids, etc.) for all broodmares and growing horses. Farrier’s Finish® is a liquid hoof topical that destroys the “hoof eating” microbes which cause white line disease and thrush. 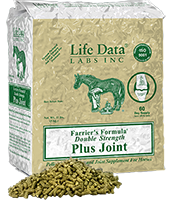 It also helps maintain correct hoof capsule moisture balance in excessively wet or dry conditions. 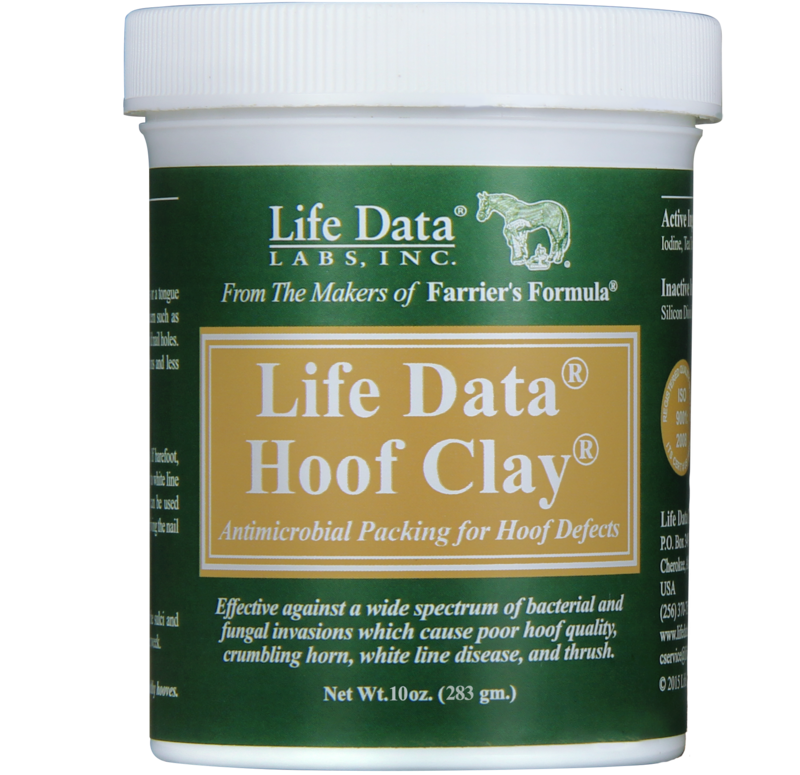 Life Data® Hoof Clay® is a pliable antimicrobial clay which easily packs and remains in place within hoof defects, old nail holes and cracks. It provides continuous long-term protection against a wide spectrum of bacterial and fungal invasions which cause poor hoof quality, wall separations, crumbling horn, white line disease, and thrush. 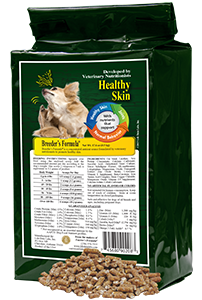 Breeder's Formula® is a canine nutrient supplement designed to promote healthy skin, a bright glossy hair coat, and general wellbeing. Contains L-tryptophan and magnesium to reduce anxious behavior in dogs and lessen compulsive scratching, licking, and skin chewing. The nutrients in Farrier's Formula® Double Strength important for a healthy hoof are provided at twice the concentration compared to original Farrier's Formula® - with the taste that horses love! 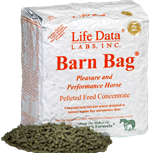 The Barn Bag® Pleasure and Performance Horse Ration Balancer is a low starch concentrated nutrient source designed to balance hay and pasture diets, prevent over supplementation and eliminate the feeding of compounded feeds. 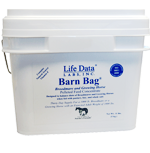 Barn Bag® is ideal for all adult horses including easy keepers, metabolic syndrome horses, insulin resistant horses, hard keepers, and working horses. 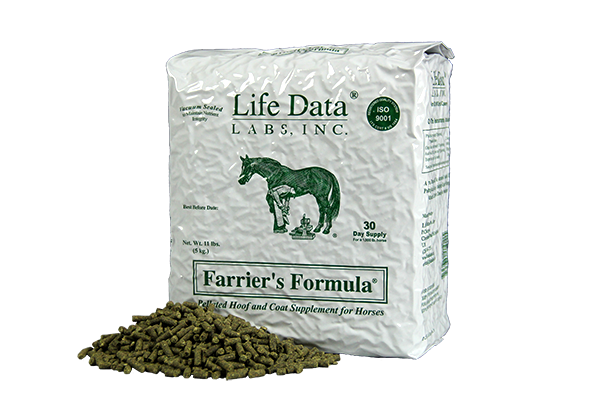 Barn Bag® Broodmare and Growing Horse is designed to balance the diets of Broodmares and Growing Horses when fed with pasture, hay, and whole oats.